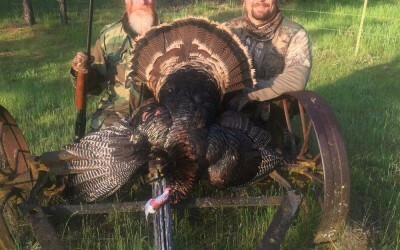 Turkey hunts last three days. 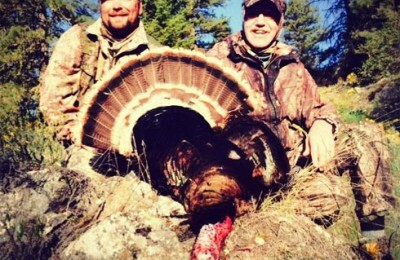 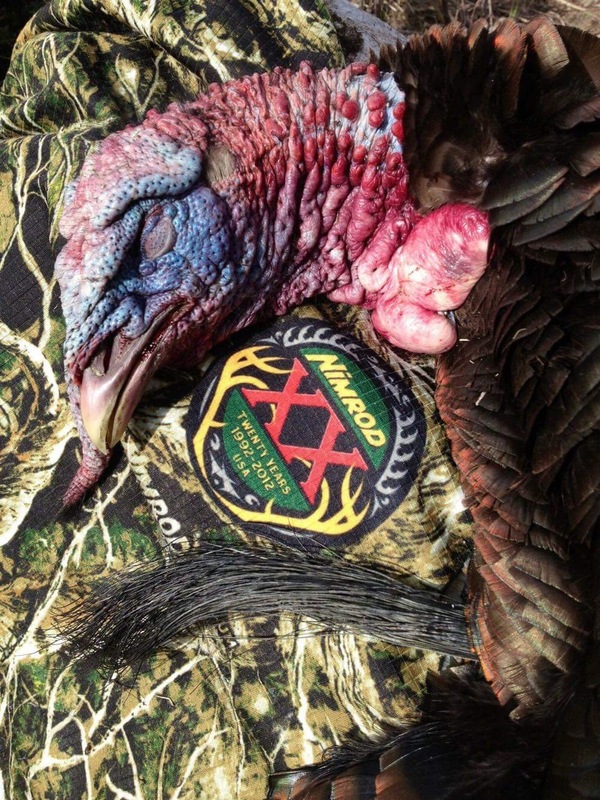 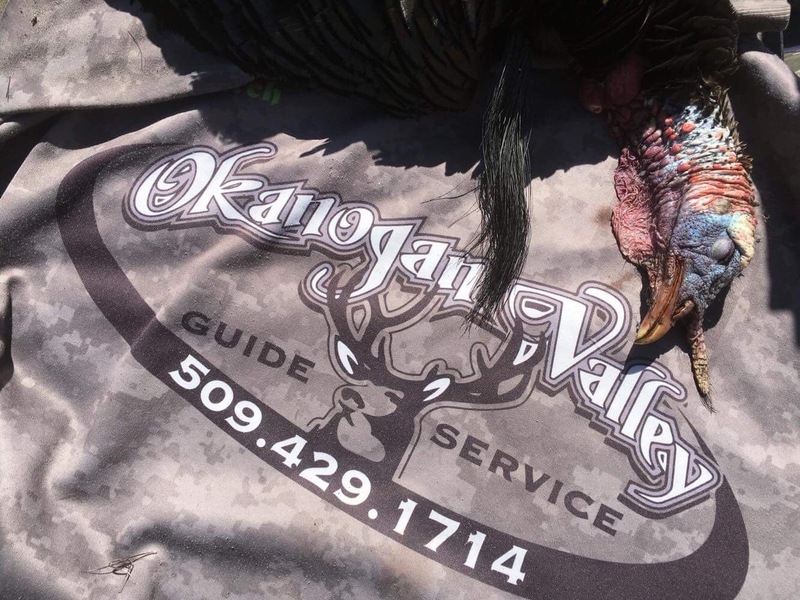 If you have never experienced the rush of a big Tom gobbler running into your calling, you are missing out! 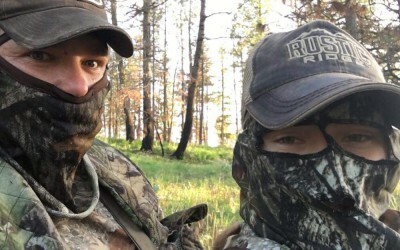 This is very similar to elk coming into your calls. 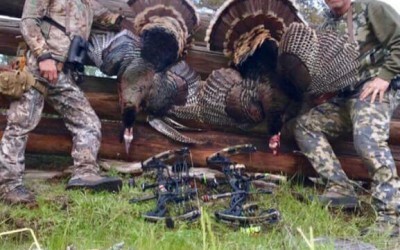 You hear them gobbling and getting closer, then all of a sudden, they appear right in front of you. 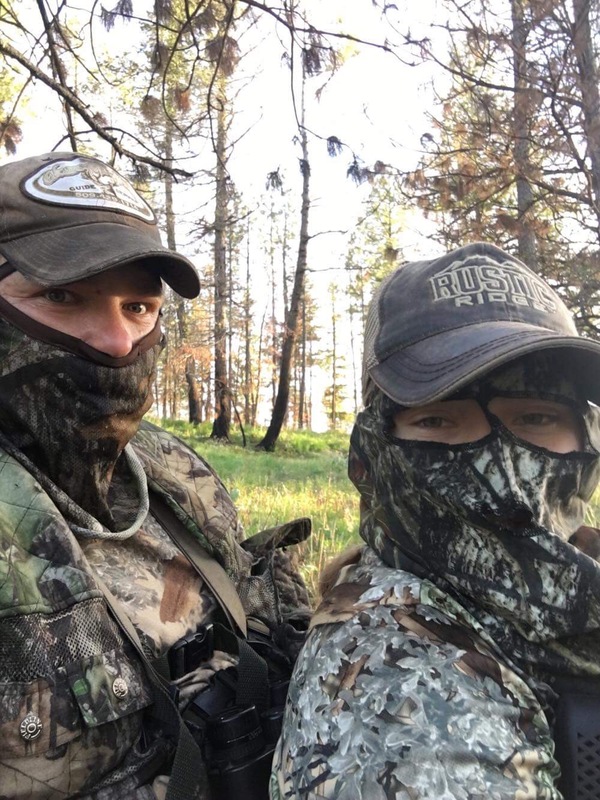 Hunting out of double bull blinds and walking on old logging roads while locating, then pursuing are the main ways of hunting. 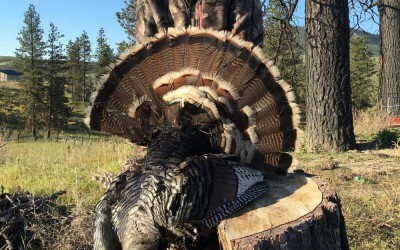 There will be some field hunting and some steep terrain. 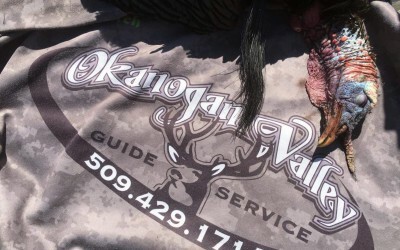 We are able to accommodate to any type of hunter. 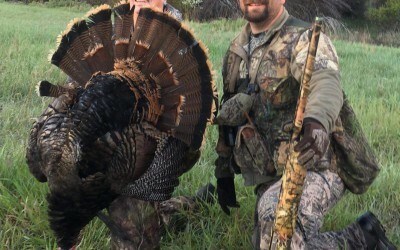 Mostly hunting the Merriam’s with a few Rio’s and every once in a while an Eastern turkey. 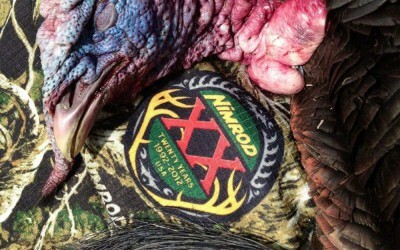 Season starts mid April and runs thru May. 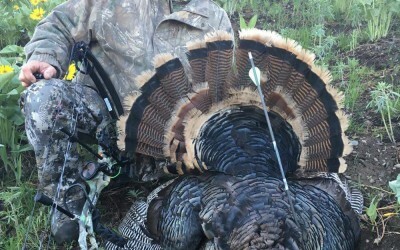 The thrill of a gobbler calling 20 yards away is hard to beat. 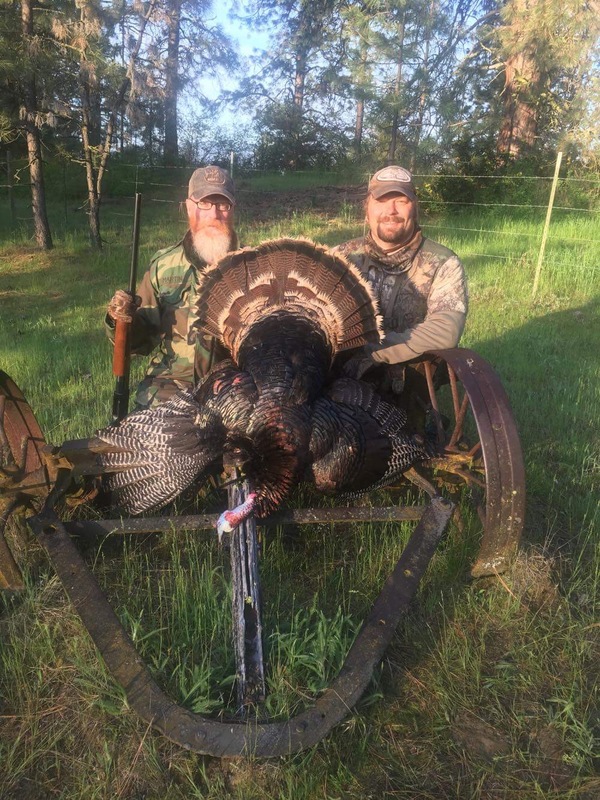 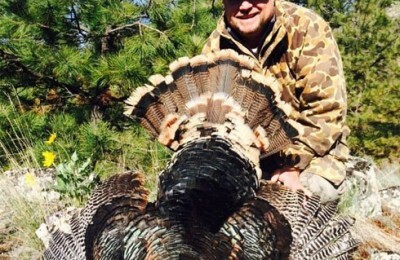 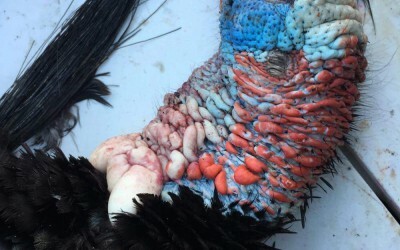 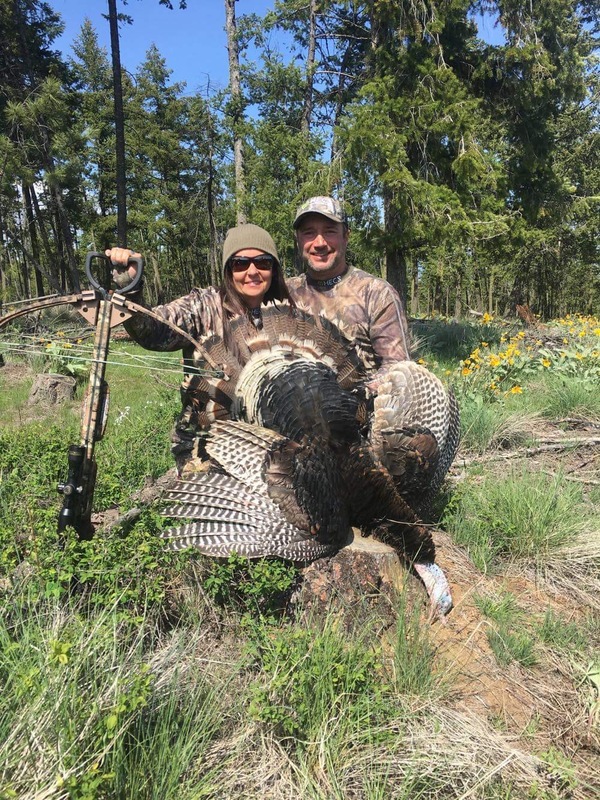 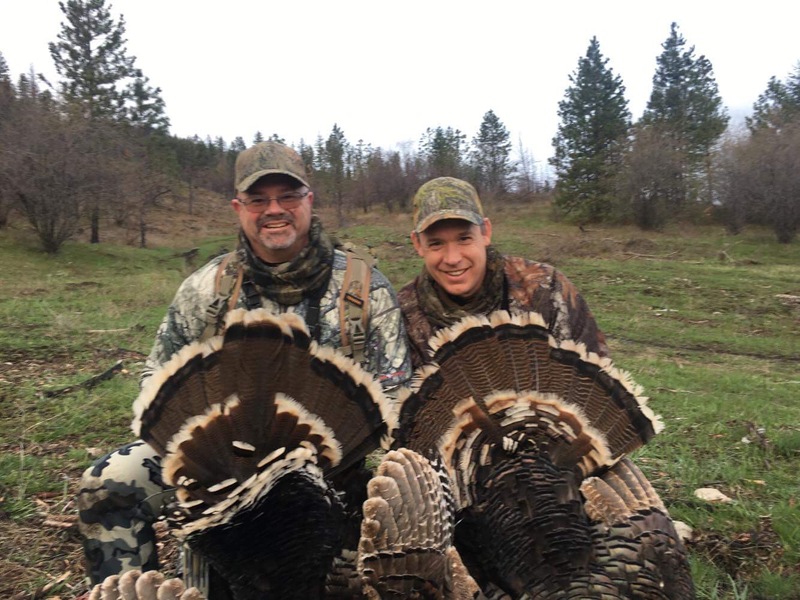 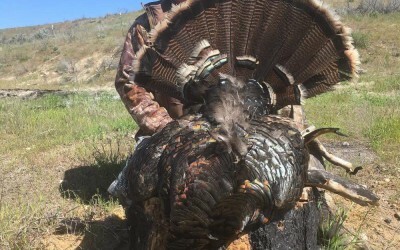 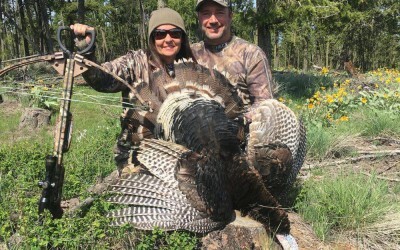 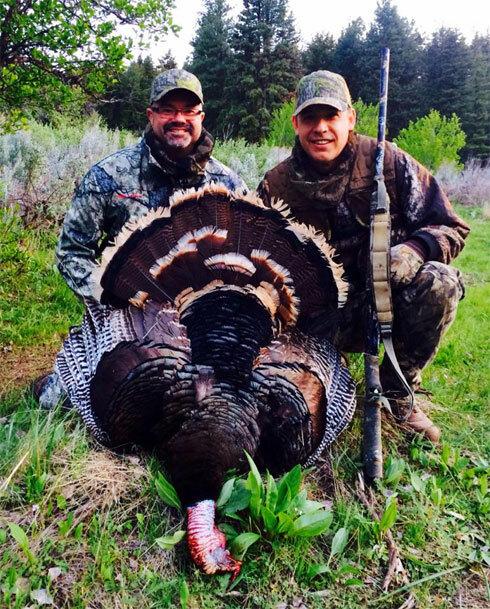 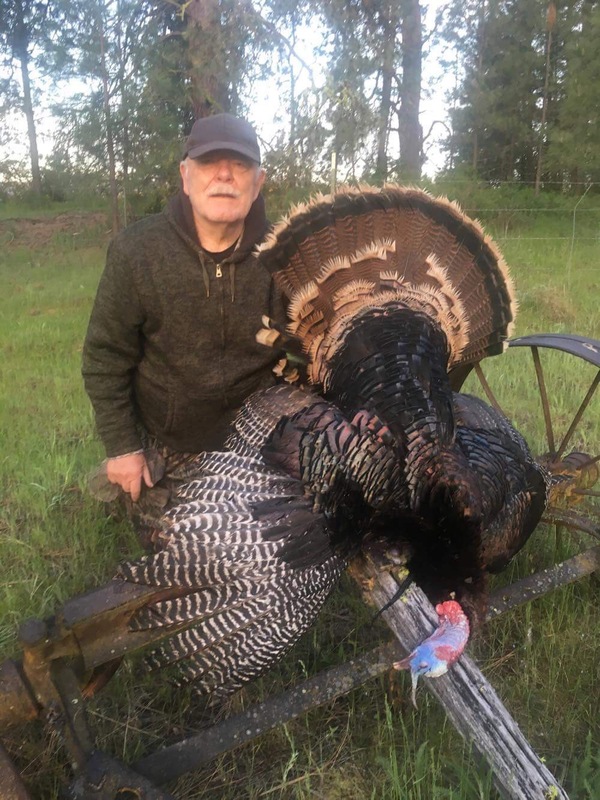 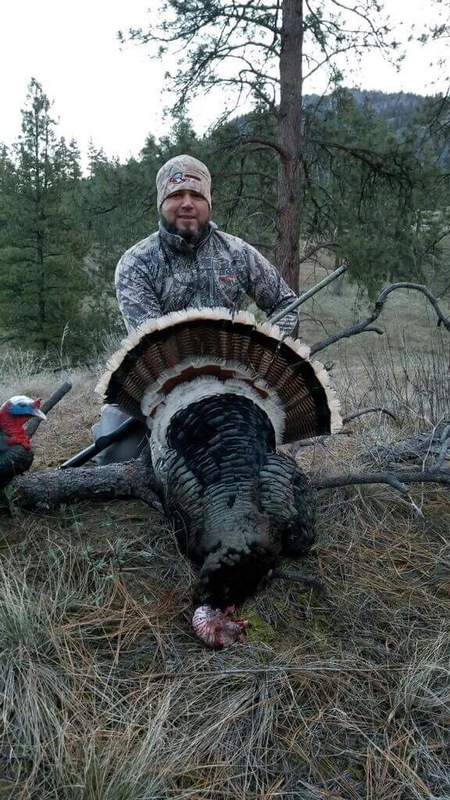 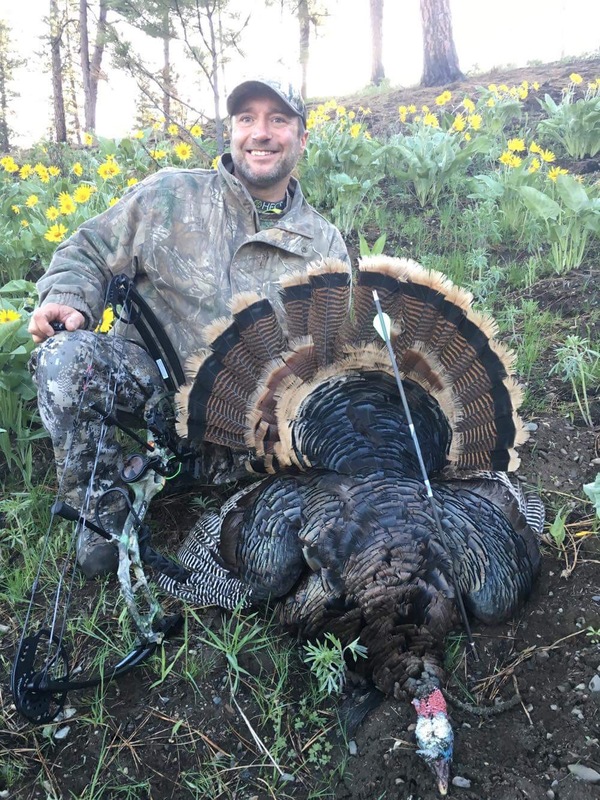 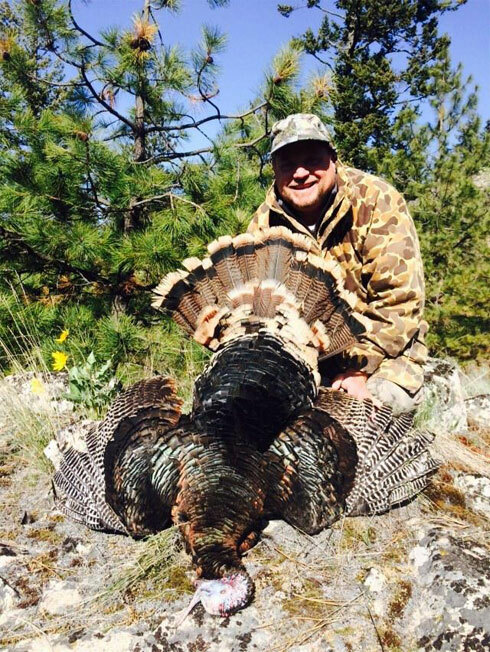 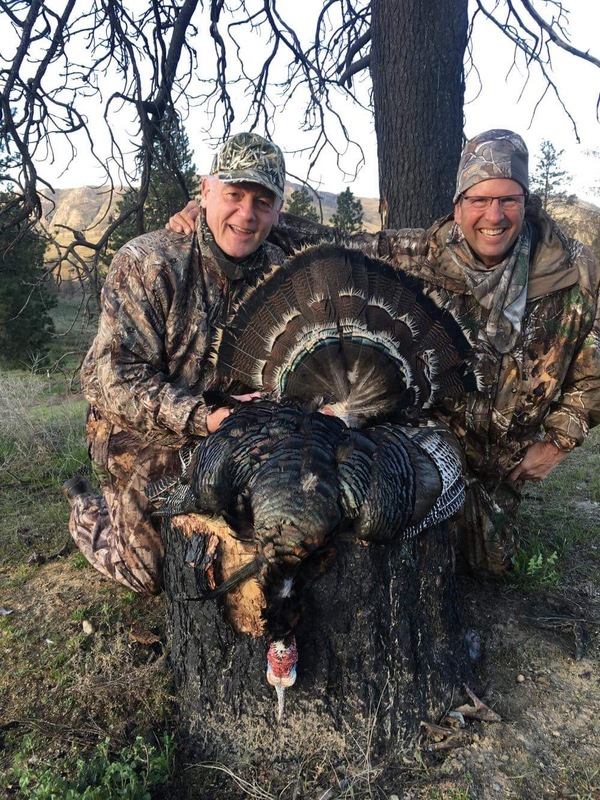 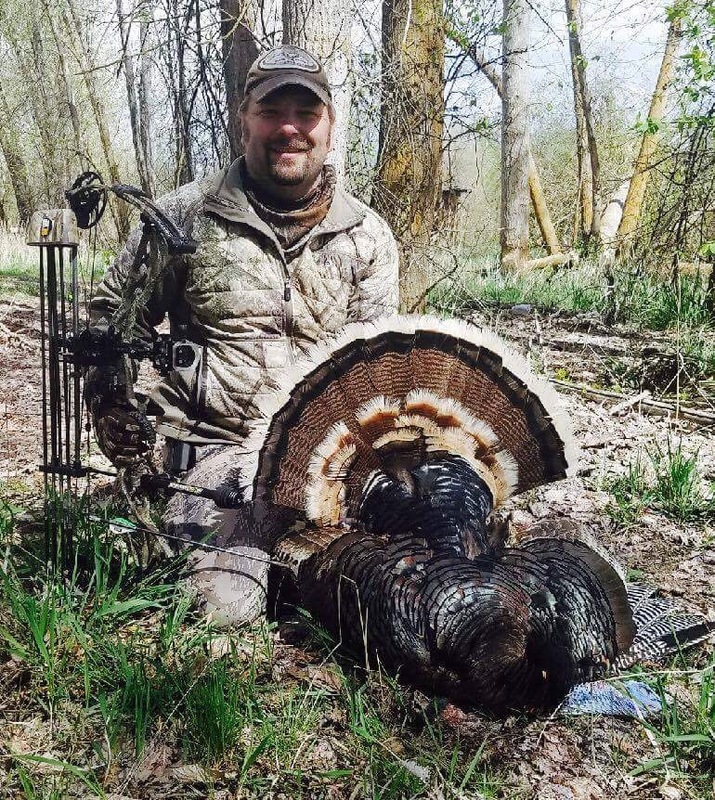 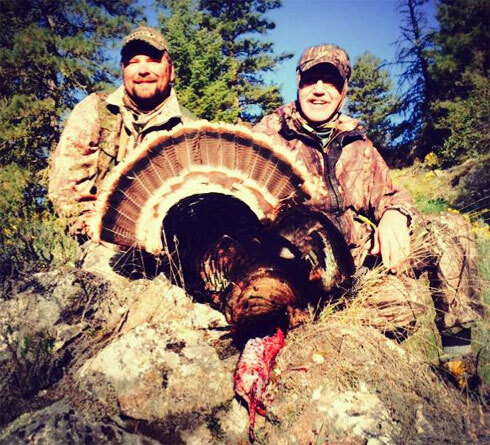 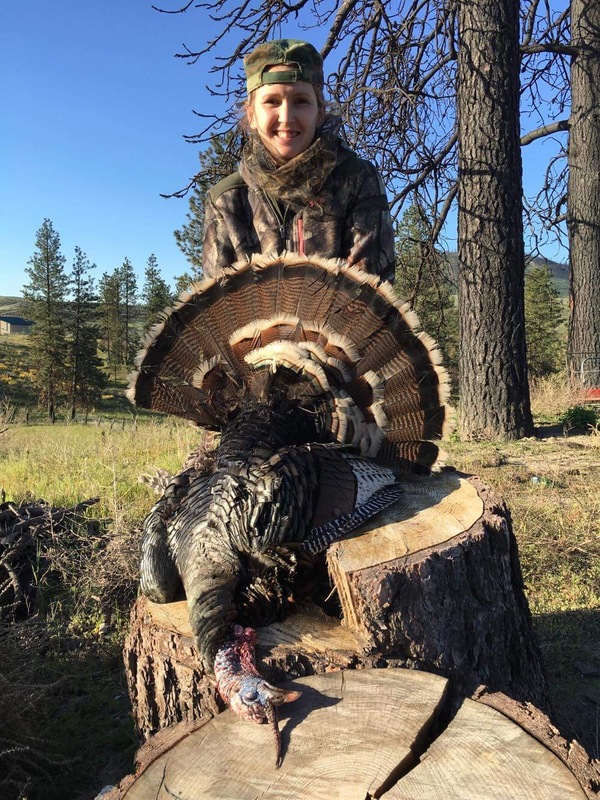 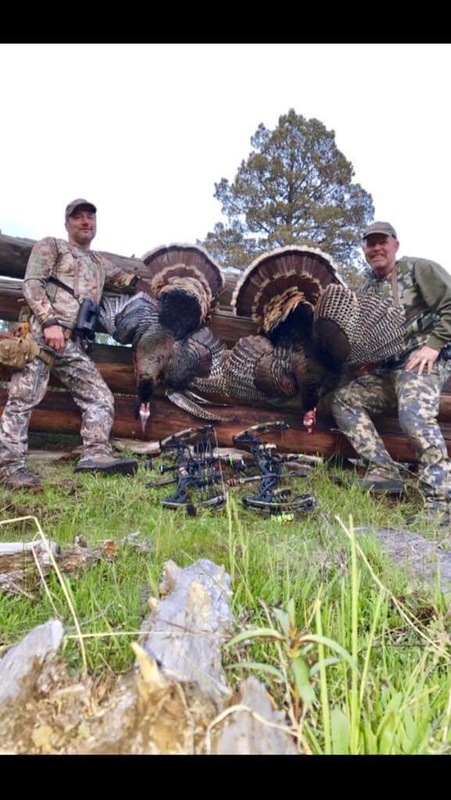 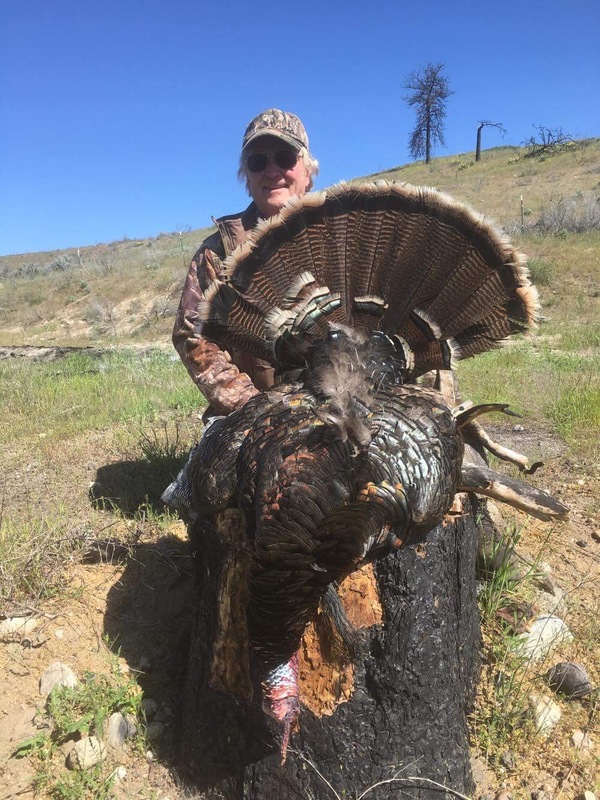 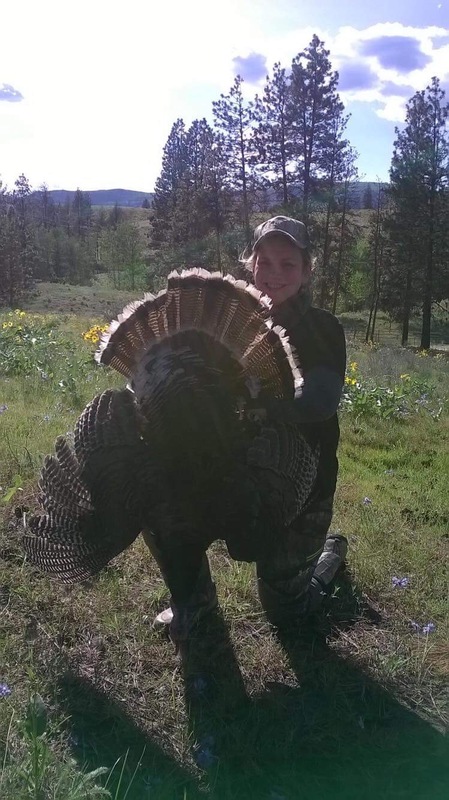 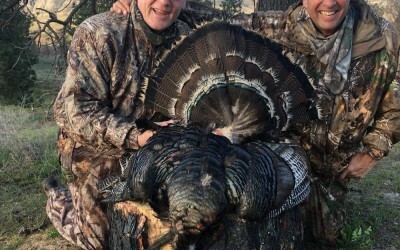 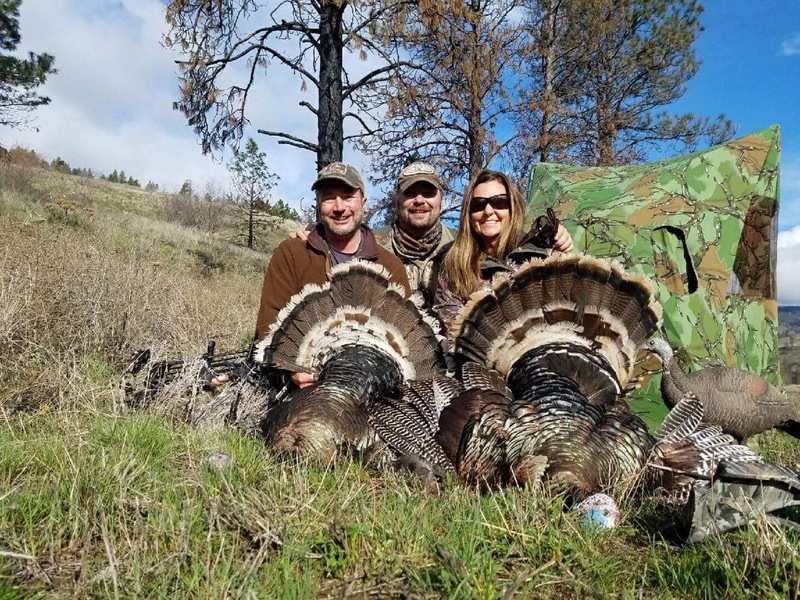 The turky population in the Okanogan is healthy and exploding thanks in part to the National Wild Turkey Federation and many conservation-minded landowners. 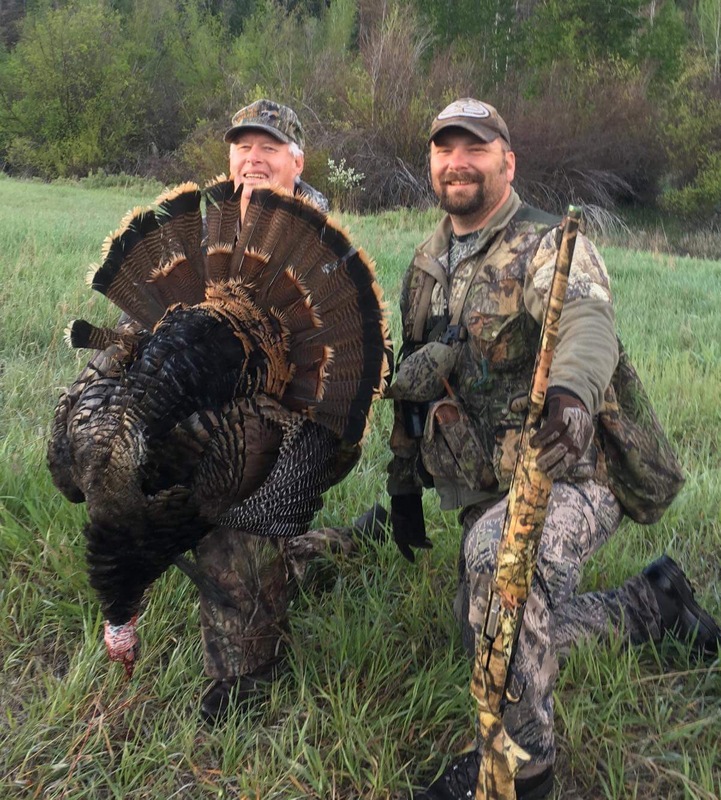 You’ll enjoy setting decoys below roosting birds at o’dark thirty and listening to them call and fly down into your spread. 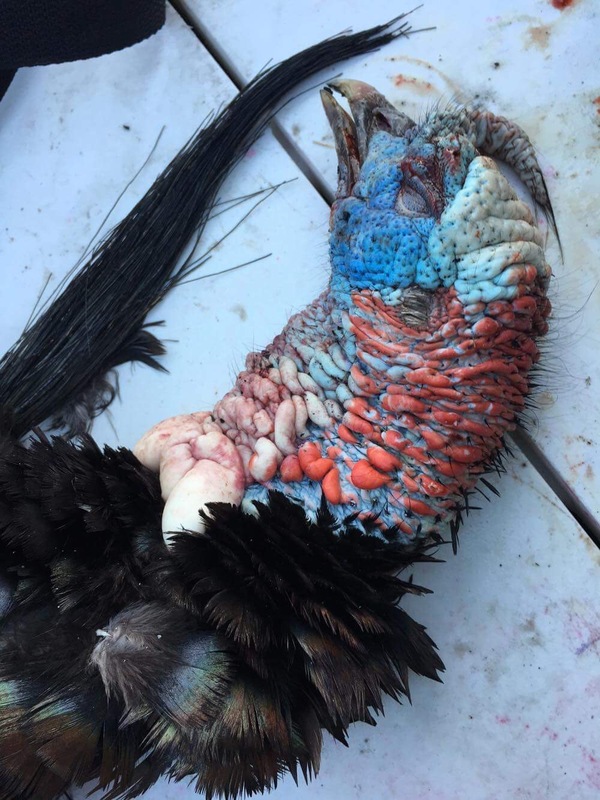 Like we said, it’s hard to beat.